It is beyond the scope of this technical article to discuss the development of performance and dependability models for analysis, assessment and justification of CDM program. The scope is kept limited to some basic issues that should be taken into consideration while deciding to develop CDM strategy for the industry. The impact of any maintenance initiatives, including condition monitoring, should be predictable and measurable, and indeed somewhere around the performance and dependability of the operating unit. Among the most sensible measures of performance is the production rate or throughput of the plant. However, in performance and dependability analysis, the “random” nature of failures should not be forgotten. Also the industry should remember that condition monitoring systems, especially fully integrated technologies, themselves, are susceptible to faults and failures and require due care (maintenance). Various factors for efficient and effective planning of CDM program are projected in the drawing format for ease of understanding in Figure 2. First and foremost requirement is to know how critical the production process is and also how critical the electrical equipment participating in the process is for sustaining the process irrespective of its rating. The equipment criticality is generally decided based on following considerations. 1. Common plant utilities such as captive power generator, motor driven cooling water pumps, incoming grid power supply system, etc. and safety systems, failure of which may have consequential effect on entire plant or large area are falling under the definition of most critical equipment or systems. 2. Certain key electrical equipment participating in the process with no standby are to be considered as next to most critical items. 3. The electrical equipment or systems causing most impact on morale and productivity are falling under the category of critical equipment, but not the most critical one. 4. Lowest criticality is to be considered for the electrical equipment or systems which are used sparingly or may cause little effect on the plant output. For example, the power transformer installed for receiving the grid power supply and for transforming it to usable voltage level is the most critical equipment to maintain continuous power supply to sustain the production. The failure of this transformer would result into total stoppage of critical process due to loss of power supply to entire plant. 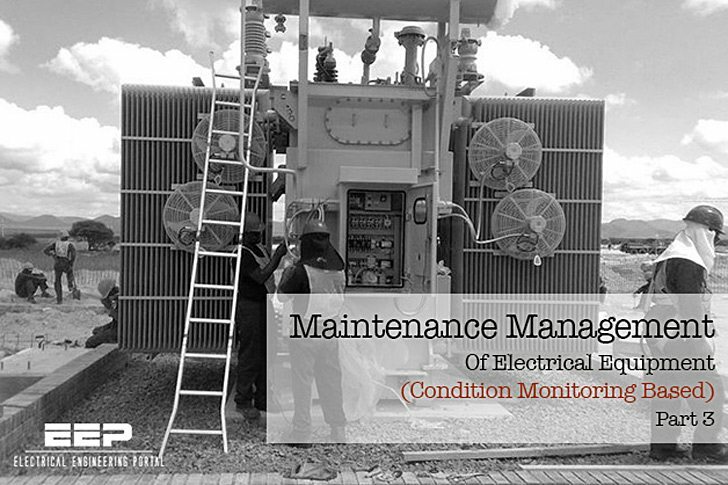 It is therefore essential to consider this transformer for condition monitoring mechanism irrespective of its rating. The cost of CDM system would be negligible in comparison to financial losses due to unscheduled stoppage of production. 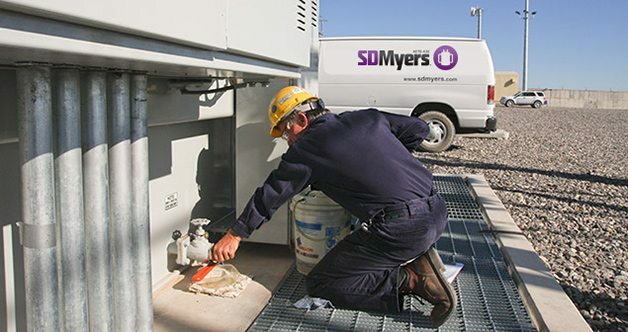 Had CDM is installed, in all probability an indication of developing fault would be available well in advance to initiate necessary action to attend the problem in a quick but planned manner. Even if the cost of electrical equipment may not be significant, but its failure may be causing total stoppage of critical process, that specific equipment is required to be considered for CDM irrespective of its rating. If the process is taking longer time duration to restart and achieve capacity level, then the small equipment is all the more important to cover under CDM. There would be number of small size motors playing vital role to sustain the process stream and failure of one may disturb entire process. In many industries, the effect of unscheduled stoppage of process would be catastrophic on environment or surroundings due rapid change in operating parameters like increase of vessel pressure/temperature, release of hazardous or poisonous substance from the stopped process, etc. due to loss of controls. For example, petroleum refining and petrochemical industries are susceptible to such incidents. Such process or systems are essentially required to be considered for implementation of CDM. In some of the processes, the cost of new spare equipment, kept for immediate replacement, may be significantly lower than that of CDM system. In case replacement of failed equipment is time consuming or restart of process is found taking more time, then such equipment or system may be considered for covering under CDM. As far as feasible, the critical electrical equipment running round the clock nearer to its rated capacity may be considered for implementing CDM, as monitoring of parameters of running equipment supplements the efforts of plant engineers to get advance knowledge of oncoming problem and take corrective action without causing adverse impact on the ongoing production or reducing the production losses to great extent. Many industries adopt philosophy of installing number of standby electrical equipment as a measure of caution. Even the source of standby power supply is also well maintained and power supply is made available within few seconds to meet emergency situation. In such cases, a thoughtful decision may be taken by the plant engineer depending on other factors discussed in above points.